Kids will love rocking away as they sport this inspirational t-shirt. This autism awareness t-shirt is great for everyone to show their support for the cause. 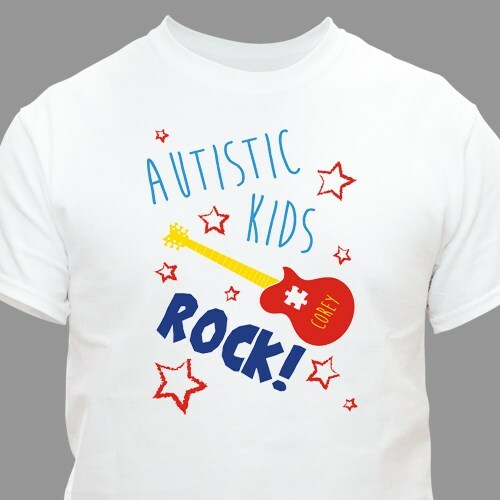 This rocking awareness design is printed on our 100% cotton, machine washable t-shirt, machine washable in youth sizes XS-L. Add personalization of any name to this design.